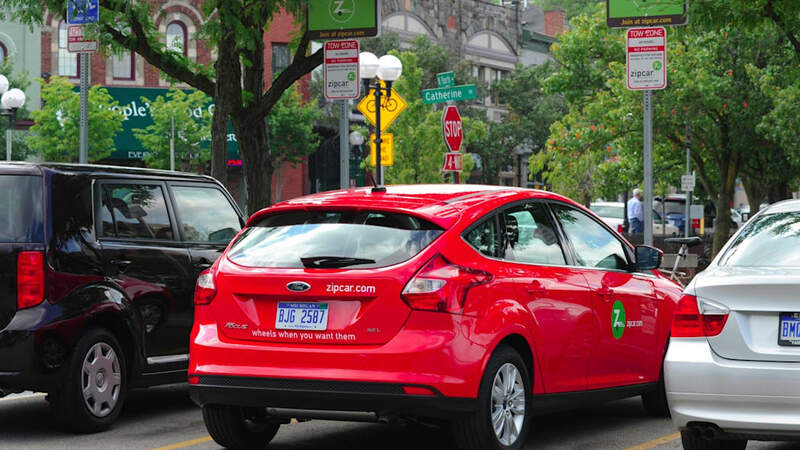 The nation's biggest car-sharing service, Zipcar, just keeps on getting bigger. This week, Zipcar announced it would now offer short-term car rentals on 36 new higher education schools in North America, trying to capture the use-don't-own spirit of today's young people. The company's new Facebook reservation service (which supplements the existing smartphone reservation apps) speaks to this. All told, Zipcars are now available on over 250 higher education campuses in North America (see the full list here), something Ford has got to be quite happy about. But the company shares cars with anyone, not just college students. In a separate announcement this week, Zipcar said it would now be a vendor for the Federal government's Short Term Rental (STR) program. This is the first car-sharing deal in the Federal Government Fleet Program and means that Federal government entities "now have access to Zipcar's entire fleet of car sharing vehicles throughout the company's 12 major U.S. markets." Details on both expansions are available after the jump. CAMBRIDGE, Mass., Oct. 25, 2011 /PRNewswire/ -- Zipcar, Inc. (Nasdaq: Zip), the world's leading car-sharing network, announced today that it has expanded to 36 additional college and university campuses this fall, broadening its total presence to more than 250 college and university campuses across North America. Between July and October of 2011, Zipcar launched programs at leading colleges and universities in North America, including Bard College; Bridgewater State University; Butler University; California State University, Channel Islands; Clarkson University; Cleveland State University; Colgate University; Colorado State University; Drexel University; Florida State University; Framingham State College; Hobart and William Smith Colleges; Humboldt State University; Iona College; Liberty University; Marist College; Menlo College; Mississippi State University; Pennsylvania State University, Mont Alto; Providence College; Purdue University; Sacramento State; Stonehill College; SUNY Potsdam; University of Central Florida; University of Cincinnati; University of Idaho; University of Illinois, Chicago; University of Maryland, Baltimore County; University of Massachusetts, Lowell; University of Mississippi; University of Texas, Dallas; University of Washington, Tacoma; Utica College; Washington State University and Wayne State University. "Zipcar continues to expand its network across college campuses to help usher in the future of transportation for college and university students. More than any other demographic group, college students (Millennials) are more predisposed to looking at alternatives to personal car ownership," said Scott Griffith, chairman and CEO of Zipcar. "We believe Zipcar's campus programs help to meet a growing demand from students, faculty and staff for a transportation option that is extremely efficient in terms of fuel, costs, parking and environmental impact. When combined with last week's launch of our 'Reserve a Zipcar' Facebook app and the recent updates to our iPhone and Android apps, we believe we're well positioned to serve this important consumer group within the car sharing market. When it comes to shared assets, this generation values access over ownership and we're offering them a suite of tools to adopt car sharing on their preferred technology platforms." 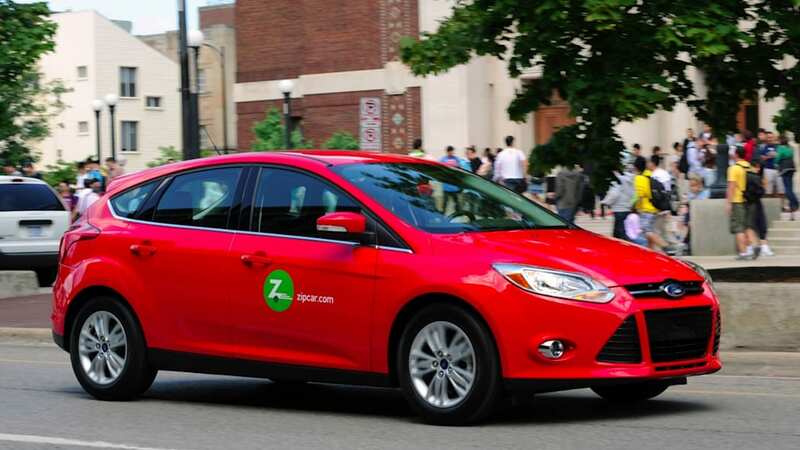 In addition to launching on 36 new campuses, Zipcar previously announced a collaboration with Ford Motor Company to make car sharing an even more accessible and cost-effective transportation alternative for students. As part of the two-year alliance with Ford, Zipcar will add 1,000 highly-fuel efficient Focus and Escape vehicles to its existing University fleet of environmentally friendly, reliable and fun vehicles, and is providing discounts of $10 off the membership fee up to 100,000 new members, as well as $1 off the hourly rate on all Ford vehicles on campus for up to one million hours. As part of the alliance, Zipcar and Ford also launched the new "Students with Drive" grant program that will provide student organizations across the country with $300,000 in Zipcar memberships and driving hours to help them accomplish their missions and work in their local communities. Zipcar offers more than 30 makes and models of vehicles for use by the hour or day to drivers looking for an alternative to the high costs and hassles of owning a car. This year, as part of the alliance with Ford, the annual membership fee for individuals at participating colleges and universities is $25, and rates on the vehicles start as low as $7 per hour and $66 per day (24 hours), which includes gas, 180 miles of travel per day, insurance, reserved parking spots and roadside assistance. Participating university and college students can join today by visiting http://www.zipcar.com/universities. "The University of Illinois at Chicago is excited to welcome Zipcar to campus to help further promote a sustainable lifestyle for our students, faculty and staff, while also helping the campus reduce its carbon footprint," said Cynthia Klein Banai, associate chancellor of sustainability, University of Illinois at Chicago. "We're pleased to offer Zipcar as an alternative transportation option to the campus community, and see this as a great benefit, especially for those who don't have a personal car on campus." "The Zipcar program fits well into Cleveland State University's overall sustainability efforts that benefit the campus and the community as a whole," said Nathan Engstrom, Cleveland State University's campus sustainability coordinator. "It also offers a transportation option that makes it easier for students, faculty and staff to navigate our urban environment, while taking advantage of all the city of Cleveland has to offer." Zipcars are self-service and can be easily reserved and accessed 24 hours a day. Participating members with smartphones, including iPhones and Android devices, may download the Zipcar mobile applications to make reservations, lock and unlock the vehicles, as well as honk the horn to help locate the vehicle. Reservations can also be made over the phone or by using the Zipcar website. In addition to its presence on college and university campuses, Zipcar has operations in major metro areas in Atlanta, Baltimore, Boston, Chicago, London, New York, Philadelphia, Pittsburgh, Portland, Providence, San Francisco, Seattle, Toronto, Washington D.C. and Vancouver. Zipcar is the world's leading car-sharing service with more than 605,000 members and over 9,000 vehicles in urban areas and college campuses throughout the United States, Canada and the United Kingdom. Zipcar offers more than 30 makes and models of self-service vehicles by the hour or day to residents and businesses looking for an alternative to the high costs and hassles of owning a car. More information is available at www.zipcar.com. CAMBRIDGE, Mass., Oct. 26, 2011 /PRNewswire/ -- Today, Zipcar, Inc. (Nasdaq: ZIP), the world's leading car sharing network, announced that is has been awarded a blanket purchase agreement (BPA) by the U.S. General Services Administration's Office of Motor Vehicle Management (GSA Fleet) as a vendor for the Federal government's Short Term Rental (STR) program. This marks the first time that car sharing has officially been part of the GSA Fleet's list of approved vendors for use through the STR program by Federal government entities, which now have access to Zipcar's entire fleet of car sharing vehicles throughout the company's 12 major U.S. markets. The term of the BPA is from October 6, 2011, through September 30, 2012, with four one-year options to renew. 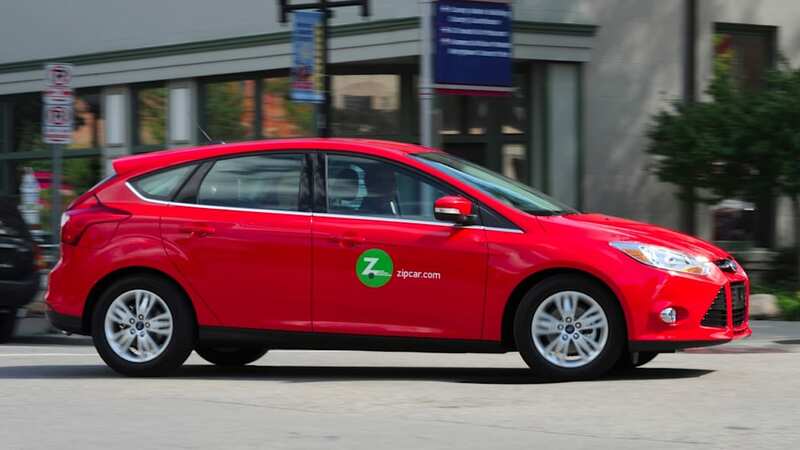 The GSA Fleet selection comes in the wake of several other city and state government contracts that Zipcar has recently secured. The company also announced today a contract with the State of Illinois's Department of Central Management Services to provide car sharing to state employees. In March 2011, Zipcar announced a partnership with the City of Chicago to provide an integrated fleet and car sharing solution for city agencies, and in October 2010 launched a partnership with the City of New York to provide car sharing memberships to Department of Transportation (DOT) employees as a part of a pilot program. In Washington D.C., Zipcar launched a program called Fleet Share in April 2009, which provides FastFleet technology to 50 departments and agencies throughout the District. Zipcar also provides a range of car sharing and FastFleet technology services to a variety of additional City, County and State government entities including the cities of Philadelphia, Pittsburgh, Seattle, Sacramento, Portland, OR; Cambridge, MA; and Wilmington, DE; as well as to the county of Santa Cruz. "We are proud to offer our car sharing services and FastFleet technology to a broad spectrum of government entities on the Federal, State, City and County levels. 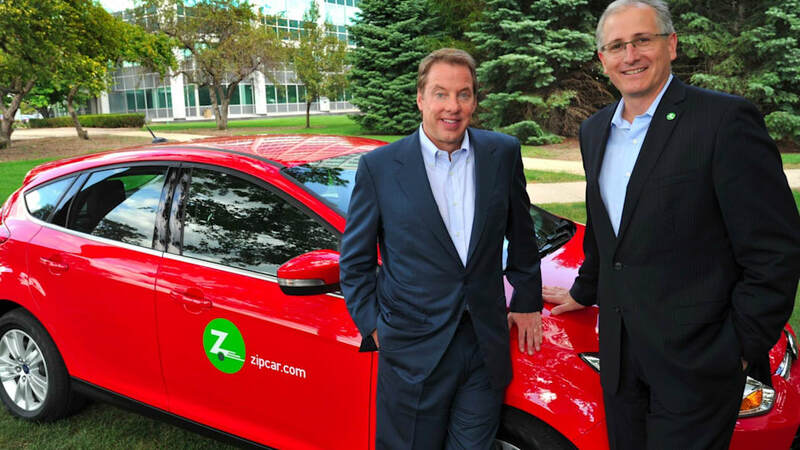 Zipcar fits into a new era when governments are trying to do more with less by utilizing new technologies, methods and practices," said Zipcar Chairman and CEO, Scott Griffith. "Our partnerships across a range of government agencies have already helped to create efficiencies and streamline costs for many levels and facets of government. 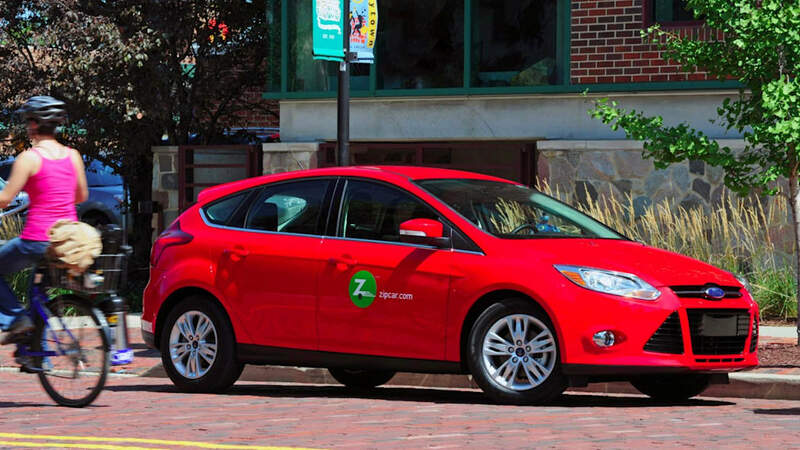 We are thrilled by the Federal government's addition of Zipcar to the GSA Fleet program." Zipcar is the world's leading car sharing network with more than 605,000 members and over 9,000 vehicles in urban areas and college campuses throughout the United States, Canada and the United Kingdom. Zipcar offers more than 30 makes and models of self-service vehicles by the hour or day to residents and businesses looking for an alternative to the high costs and hassles of owning a car. More information is available at www.zipcar.com.